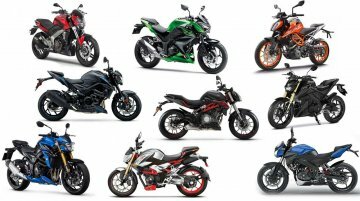 Following the announcement last month, India Kawasaki Motor has revised the prices of select models. 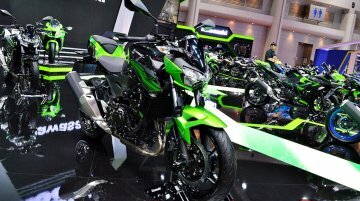 The motorcycles have received a price increase of 7% due to the rising input costs and..
Kawasaki has displayed its new Z400 at the ongoing Bangkok International Motor Show. 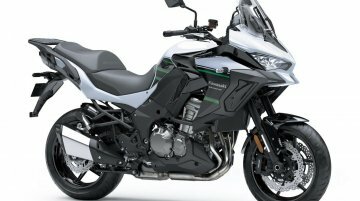 The Kawasaki Z400 was unveiled to the world at the 2018 EICMA show on 7 November in Milan, Italy. 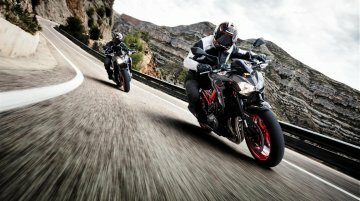 We previously saw..
India Kawasaki Motors has announced a price increase of up to 7% on select models. 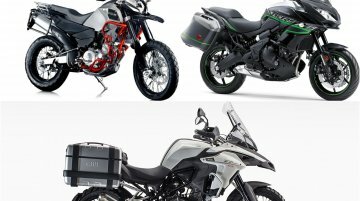 The updated ex-showroom prices would be valid from April 1, 2019. 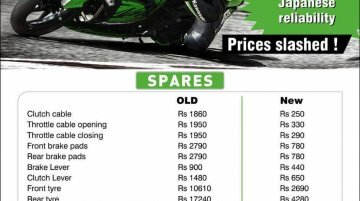 The price increase is a result of rising costs of..
India Kawasaki Motors' Mumbai dealership, Anzen Kawasaki, has announced a flash sale on select motorcycles. 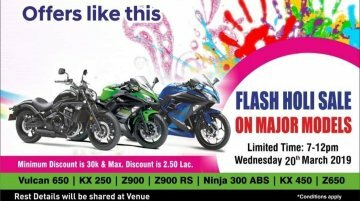 The flash sale would take place on the auspicious occasion of Holi – 20 March, from 7 p.m. t..
India Kawasaki Motors has delivered the country’s one and only Ninja H2R, the most powerful production motorcycle in the world, to its customer on 3 March 2019. 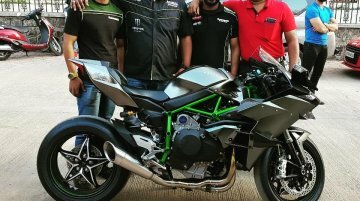 The Kawasaki Ninja H2R is the first..
India Kawasaki Motor's newly launched product, the Ninja ZX-6R, has received a positive response as the motorcycle clocked 25 unit sales in the first month since its launch. 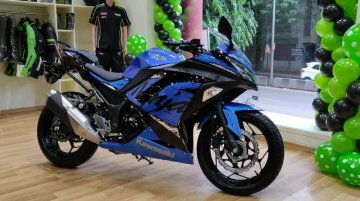 In fact, Ninja ZX-6R..
Honda Motorcycles and Scooters India Ltd (HMSI) is set to launch the all-new 2019 Honda CBR650R in India in the coming weeks. 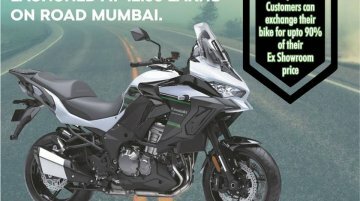 The company had started taking bookings for the bike at an amount of INR..
Kawasaki Versys 650 owners who are looking for an upgrade to the litre-class segment can opt for Anzen Kawasaki’s (Mumbai) offer and avail massive discounts on the 2019 Versys 1000. 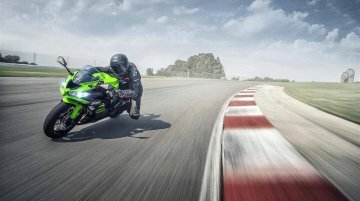 Do note that this..
Kawasaki’s newest entrant in the Indian market, the Ninja ZX-6R, has started to arrive at the dealerships in the country. 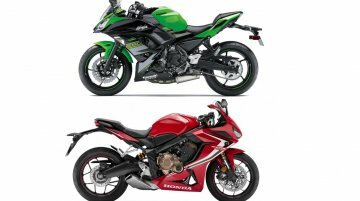 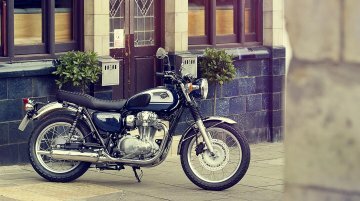 ANZEN Kawasaki, the Mumbai outlet of the Japanese two-wheeler brand, has.. 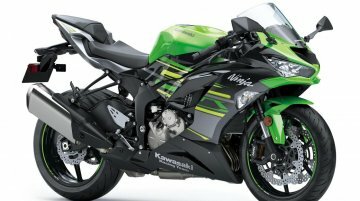 Heavy localisation of parts allowed Kawasaki to slash the prices of the Ninja 300 by a considerable margin. 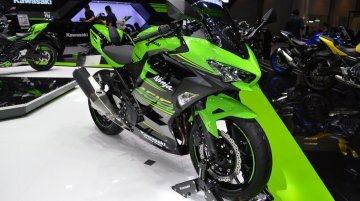 India Kawasaki Motors launched the new locally made Ninja 300 at an ex-showroom Delhi price..
India Kawasaki Motors has launched the 2019 Kawasaki Ninja ZX-6R at an introductory price of INR 10.49 lakh (ex-showroom, pan-India). 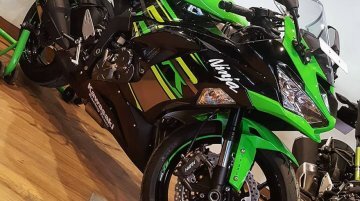 Pre-bookings for the new model commenced in October 2018, and the..